For what it offers, at the price, there is nothing that comes comparatively close. The LCD screen sets this apart from others in the same category/price range. The features and functions that have been installed into the Logitech Harmony 650 are on par with some higher priced universal remotes from other brands. There is nothing remotely close to this universal remote control from Logitech. This has every feature that Logitech could squeeze into it, plus the Harmony Hub, the app access and control. And, the fact that it can control 15 different devices – WOW! With the ability to control up to eight different devices, this is worthy of our list. Sure, it’s not pretty, it’s not trendy, but it is inexpensive and able to control a myriad of devices. For the kids, or grandma, there’s not really a better option. Right now, you may be looking for the remote for your DVD player. Well, maybe not, but you know the frustration of not being able to find the remote when you need it. 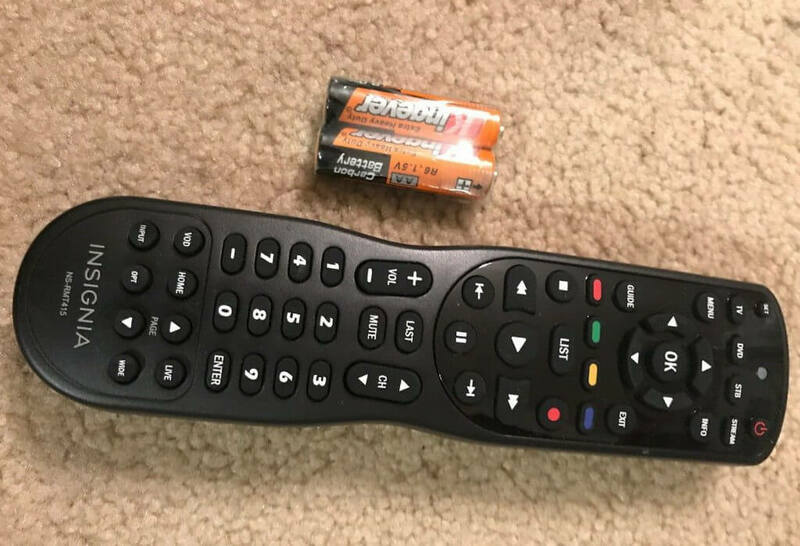 Somehow the TV remote found its way to the bottom of your couch, the kids are playing hide-and-seek with it, or the batteries in the stereo system remote just went out. Honestly, it seems like we’ve somehow made life very complicated. Life was simple when all you had to do was use just one remote. But today, we have TVs, DVD Players, Blu-Ray Players, Streaming Sticks/Devices, Soundbars, Stereos/AV Equipment, Gaming Systems… the list can honestly go on forever. And every one of those devices has their own remote control. If you have a coffee table, it’s probably cluttered with a lot of remotes (at least the ones you can find). In the past, having so many remotes was a sign of “superiority” (i.e. alpha-male syndrome; newest toys and tech). But now, having all those remotes just means a lot of headaches. But, what if you could consolidate all of those remotes into ONE? Well, you can! By using a universal remote, you can get rid of all those other remotes and have everything in the palm of your hand (literally). Now before you start balking at the idea of a universal remote, you need to understand that these aren’t the same remotes from the early 2000’s. The universal remotes from the early 2000’s were big, bulky, clunky, inconsistent, and with all kinds of special commands and functions that didn’t do anything but make you mad. Universal remotes now, especially in 2019, are so much more sophisticated. The clumsy designs have been scrapped for clean, easy-to-use layouts and displays. And, we’ve already put together a list of the best universal remote controls we could find. They are listed below, and we believe you’ll soon agree a universal remote is the way to go. Well, finding a universal remote that can work together in perfect harmony seems like a dream, but it can be your reality. The Logitech Harmony 650 Universal Remote Control is the stuff dreams are made of. Logitech has developed some of the most expensive universal remotes, but our favorite is one of the actually more reasonably priced ones, considering what it offers/can do. The Logitech Harmony 650 Universal Remote Control is priced well under $100 and feature packed. Jumping right in, the Logitech Harmony 650 can work with up to eight different devices in your home. Setting up the Harmony 650 will require a computer with a USB connection and internet access. Logitech requires you to create on online account with them to set up the Harmony 650. While this is not as simple as selecting your device, entering a device code, and being done, it does make it simpler if you ever need to buy/program a new Logitech universal remote control later. It also allows for quick and easy updates. For example, their old firmware only supported 5 devices, while the newest myharmony software allows up to 8. After creating your account, the first initial setup will take some time, even when following the step-by-step instructions to the letter. This is not the easiest, especially for those who don’t like “new tech” – so not every grandma might be able to program this. But, once you’ve done it once, you’ll be able to do it over and over without any problems. If you need help, there is a built-in tutorial on the front screen to help you better understand what the remote can do. Some users noticed that Logitech states that they record information “anonymously” as an analysis tool. The information that they record/store includes your IP address, what features you use and how, any errors and/or issues, and anything else that they feel like. Unfortunately, you cannot opt out of this, but keep in mind it’s supposed to be “anonymous tracking”. During setup, you can program “hot buttons” to perform several actions at one time, in a sequential order. For instance, you could program one of your “hot buttons” to (1) turn the TV on first, (2) then the DVR, and (3) turn down the lights (if your lights are smart/remote enabled). The Logitech Harmony 650 Universal Remote Control is built for “life” – you know, random drops and such. And distance isn’t a problem for this remote as you can control all of your devices from 20+ feet. It’s an infrared signal, so it only works in line of sight. Battery life depends on your usage. “Power users” might have to replace them every other month, while average use is reported to let the batteries last for 6 months and more. This is one of the better looking universal remote controls that we’ve seen. It uses a fairly neutral gray/brown color for the body with gray/black buttons. It is slender, but fits in the hand comfortable with a little “nook” for added grip. The button layout is easy to learn and remember. Overall, this was the best universal remote control out of all the remotes we looked into. It has all the technology you’ll want, covers a myriad of devices, has some nifty features such as the “hot buttons”, and a price that won’t break the bank. The Inteset 4-in-1 works with four devices, thus the name. And while being limited to ONLY four devices, the user-friendly setup and easy-to-use design make this one of the best universal remote controls for the average home/media-driven family. Setting up the Inteset 4-in-1 is fairly straightforward. You select the device you want to program your remote with and then type in the code that matches your device. But, there is one hiccup – they didn’t include the programming codes in the packaging. Instead, they send you to their website where you have to find the codes. So again, for the set up you’ll need an internet connected device such as a phone or a computer. The Inteset 4-in-1 is ergonomically shaped with a little “nook” just below the midline of the body for easy gripping. The button layout is fairly consistent with most universal remotes with the power being at the top, followed by the navigation buttons, then the control buttons for your devices such as fast forward, rewind, stop, record, etc. There are a few white buttons for added contrast/easier navigation and the buttons are backlit for easier viewing/control in dark rooms or at night (this can be very handy!). It is powered by two AA batteries, which are included in the packaging. This is another great looking remote that stays away from being “too flashy”. It comes with “hot buttons” just like the Harmony 650 where you can program them to perform multiple functions in a certain sequence (up to 15). They even included stickers so you’ll know exactly what the customized buttons do/work with. However, after a little while, the little stickers just couldn’t hold on and putting them back on was impossible. Unless you want to glue them down, it’s better to just make a mental note of what device each button corresponds to or just write it down. For the price, this is one of the better universal remote controls overall. It is almost half the price of the Harmony 650 from Logitech, but it lacks the ability to control as many devices (only 4). And while it doesn’t have an LCD screen, setup is much easier than ANY Logitech remote control (no special account needed). This is a great remote if you don’t have a lot of devices to control. People love Logitech and their universal remotes, so here is a another one. The Logitech Harmony 350 Universal Remote Control can work with eight devices, just like the Harmony 650 mentioned earlier. And, just like the 650, setting it up can be a little cumbersome (free Logitech account needed). However, if you are making the switch from an older Logitech remote, you can just copy your old settings on this one. You will need a computer with a USB connection and an internet connection. Logitech requires you to create an online account with them to set up the Harmony 350. While this is not as simple as selecting your device, entering a device code, and being done, it does make it simpler if you ever need to buy/program a new Logitech universal remote control later. 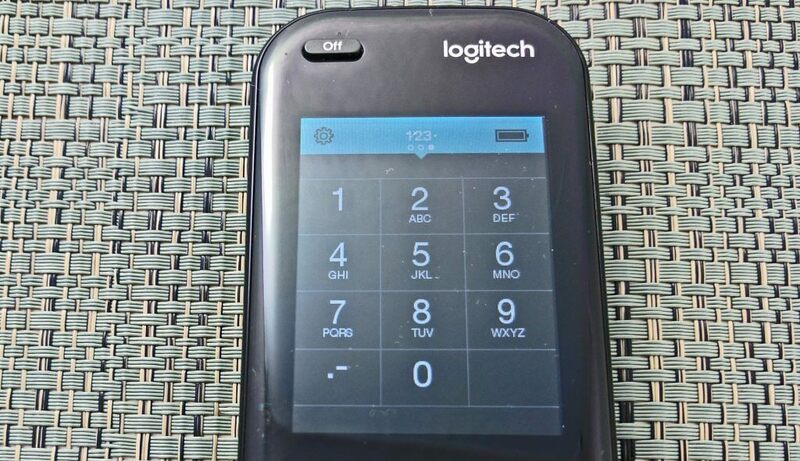 Logitech doesn’t use device codes to connect to your devices, but rather the manufacturer and model number, which takes all the guess work out of which code will work properly. This can become an issue if you have everything tucked away nice-and-neat, and have to get to the back of one of your devices to look for the model number. The Harmony 350 can control eight devices, but from only four device buttons. To make this work, you access one device using a “quick press” and the other device using “a longer press”. If you aren’t used to this, it might take you some time to get used to, but no real downside in our opinion. As with the Harmony 650, you can program “hot buttons” to perform multiple actions/sequences. So, you can have the TV turn on, the DVD player, then have the DVD go straight to the main menu instead of having to wait/watch for it yourself. Once you get past the setup, the Harmony 350 is ready to go! Using the Harmony 350 is super easy with buttons that are easy to find and locate (and remember). However, the buttons are not backlit so night navigation may prove more difficult (refer back to remembering button locations). The device is not too heavy and the grip is fairly ergonomic. Same as withe the 650, Logitech says that they record information “anonymously” as an analysis tool. This includes features you use, errors you run into and more. Unfortunately you can’t opt out. 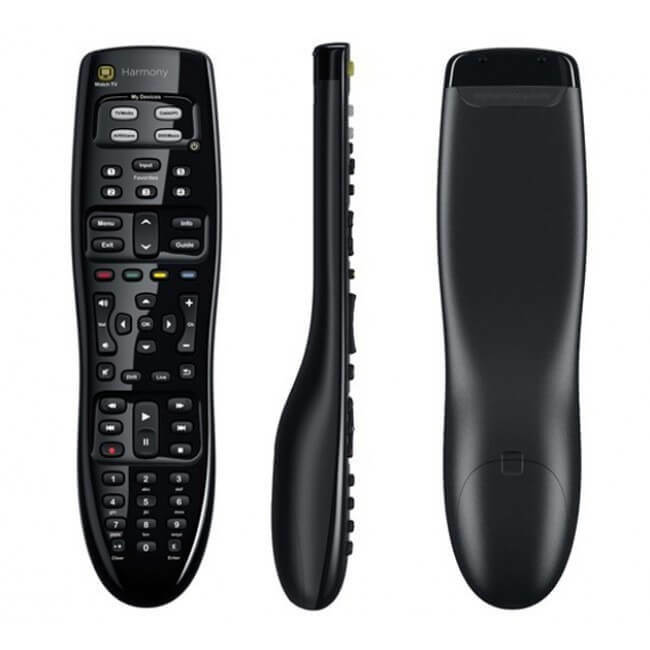 Logitech makes great universal remote controls and the Harmony 350 is a great option. If you want more features and a less complicated device management system, then the Harmony 650 is probably a better option. 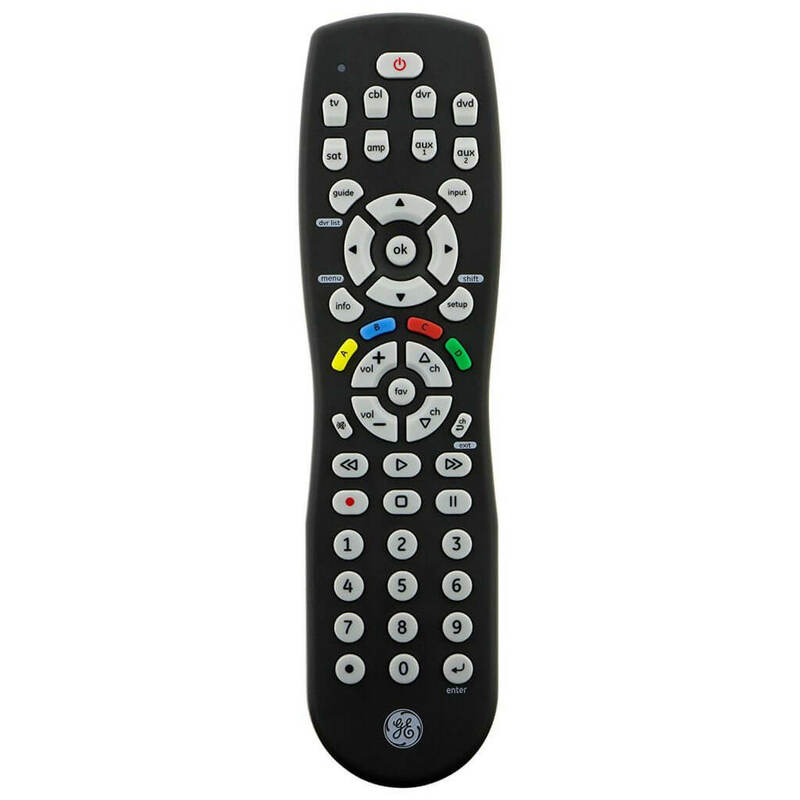 But, if you are looking for a great universal remote with a price tag that is easier to stomach, the Harmony 350 is a great choice. Sony has been in the audio and video industry since the dawn of time, and they’ve become synonymous with quality products. Which is why the Sony RMVLZ620 Universal Remote landed on our list. It may look a little dated in style, but in function, it holds its own very well. The RMVLZ620 can work with all types of devices such as TVs, DVD Players, Blu-Ray Players, AV Equipment, DVRs, and even your old VCR that’s collecting dust on the shelf somewhere. And, this universal remote has the ability to program “hot buttons” too. So, you can tell it to turn the TV on, the DVD on, go to the start menu and wait for you. Plus, the RMVLZ620 has a “learning mode” for when it can’t control a device (i.e. Soundbars, Ceiling Fans) the way you want it to. Setting this feature up is easy in that all you have to do is tell it to “SET” and then use the function on the original remote while facing it towards your new Sony remote. After that, your “custom” function/feature should be ready to go. As we mentioned a moment ago, this is not the sleekest universal remote you’ll ever see. In fact, it’s very reminiscent of Sony design and functionality. It is large, blocked, and flat in color. But, there are some benefits to this type of design. For starters, you won’t get upset if the kids drop it and/or scratch it all up. Next, the big and blocky design is easier to hold if you have bigger hands. Navigation is fairly simple with large, easy-to-read buttons. But, the buttons are not backlit so night navigation may prove more difficult. It’s almost impossible to go wrong with a Sony universal remote control. If you need a universal remote that is built to last, not as fancy as some of our other favored remotes (i.e. the Harmony Series remotes from Logitech), while being able to control up to eight different devices, then the Sony RMVLZ620 is perfect. And yet, another Harmony remote from Logitech. At this point, we might have to change this list to the best universal remotes from Logitech – we’re not doing that. But Logitech just does universal remotes right. The Logitech Harmony Elite is on a different level from any other remote we’ve seen so far but certainly isn’t for someone who “struggles” with technology. We’ll quickly try to break down the setup process for the Harmony Elite. Position the Harmony Hub in an unobstructed area and power it up. Open the Harmony app and select “Setup New Remote”. Make sure Bluetooth is enabled on your mobile device. Make sure that your mobile device is connected to the WiFi network. Wait for the app to find your Harmony Hub. After the app and the hub have pair, you’ll need to enter in your WiFi credentials. Follow all the steps from the app to add each device as desired. 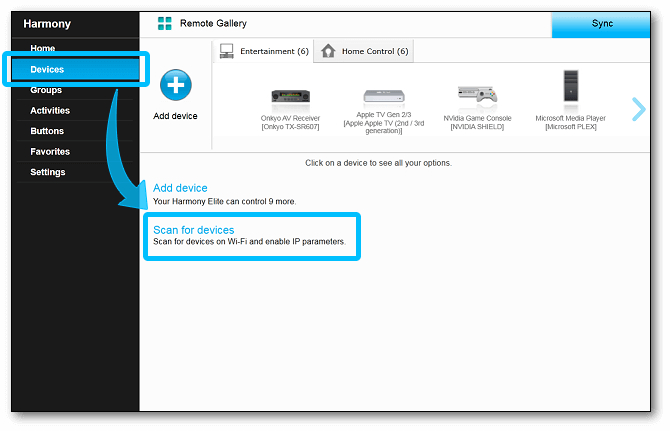 You will want to set aside some time to get all of your devices setup on your Harmony Elite. And when we say devices, we mean up to 15 devices! Yeah, this Harmony Elite can control up to 15 different devices from ONE remote. 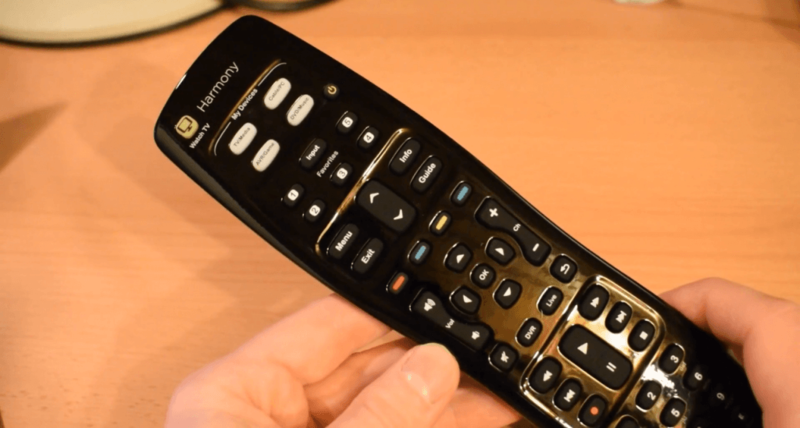 Navigating the Harmony Elite is not the same as all the other remotes. There aren’t a ton of buttons to push since they’ve included a full-on touchscreen. So, if you’re comfortable using your phone, using your remote will be a breeze. Or you could use the app on your phone, or your tablet, or your computer – they all work the same. Ultimately, you don’t become locked to just a remote control, but rather your home is fully-integrated through the WiFi connection and the Harmony Hub. The Harmony Elite is on a completely different level – it’s almost in a completely different stratosphere to be honest. 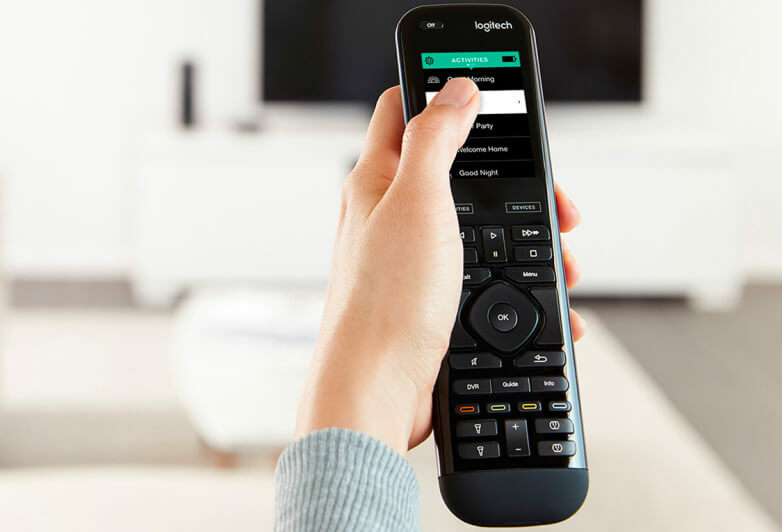 It incorporates every single feature that Logitech has in any of their other remotes, adding in a full-on touchscreen, the Harmony Hub, app access, Alexa integration, and SO MUCH MORE! The only reason that it’s not our # 1 pick is the price. It is expensive, but there’s nothing that it can’t do. Remember the Inteset 4-in-1 from earlier? Well, we’ve found its long-lost brother. It almost seems that the two companies shared company secrets and/or design plans. Insignia is synonymous with inexpensive solutions to expensive problems. They don’t spend a lot on marketing, and many people tend to stay away from them because they aren’t one of the “cool brands”. Setting up the Insignia 4-Device Universal Remote is simple. All you do is press the button that corresponds to the device you want and enter the proper code. In most cases, you will have to type in multiple codes until you find the right one. This will work with most TVs, Cable and Satellite Boxes/DVRs, Blu-Ray Players, DVD Players, and streaming devices such as Apple TV, Roku, and Chromecast. Because of the simple interface, it’s easy to find what you need. The buttons are spaced out nicely but are not backlit, so night navigation may prove to be a challenge. The transmission range should be around of 23+ feet. The Insignia 4-Device Universal Remote is great for someone who needs to control multiple devices but doesn’t need all the flash such as Touchscreens, LCDs, Macro Programming. Instead, they really just want to get rid of all those remotes and get down to ONE – the whole point of a universal remote. For the price, and the features/functions, this is worthy of being on the best universal remote list. RCA, just like Sony, has been around since the beginning of time. They’ve carved out their name in the hearts and minds of 30+’ers. They have a following, almost cult-like, for their brand. And while they aren’t Logitech, they do provide value and function. The RCA 6-Device Universal Remote is easy to set up. You select the device you want to pair up with, type in the corresponding codes (you can find them here), and you are done! Transmission range should be up to 20+ feet without any issues. For such an inexpensive remote, it can connect to a lot of different devices (which is normally found on the more expensive universal remotes). According to the manual, you should be able to connect to a TV, Satellite Box, Cable Box, DVD Player, DVR, Audio System, VCR, and some AUX devices. In the event that you can’t find your code, there is a built-in search feature to help you find the missing code. Amazingly, this one also supports “hot button” programming where you can set it up to sequentially start up multiple devices. And, even though this isn’t part of the setup, it’s a cool feature that we can’t leave out – it will automatically shut off if no button has been pressed for longer than sixty seconds; this is a power saving feature and a pretty good one at that. 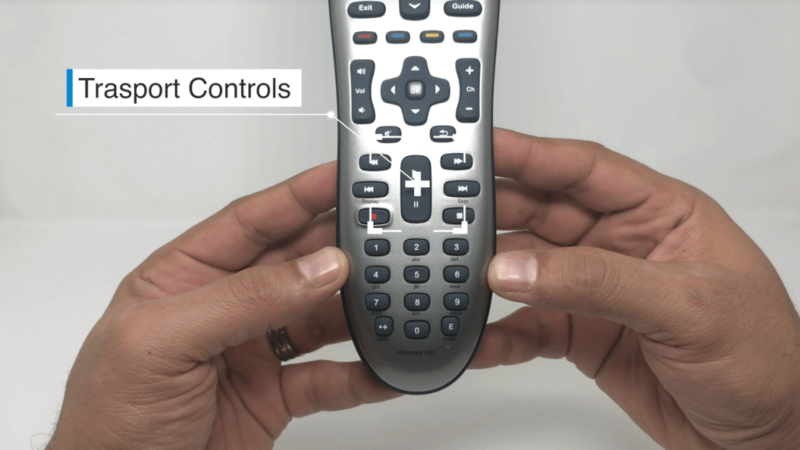 The RCA 6-Device Universal Remote is not ergonomically shaped as there is no “grip point”. Instead it is rectangular with rounded corners. The buttons are spaced out well and big enough to see but unfortunately are not backlit. However, they do glow in the dark which definitely helps at night. 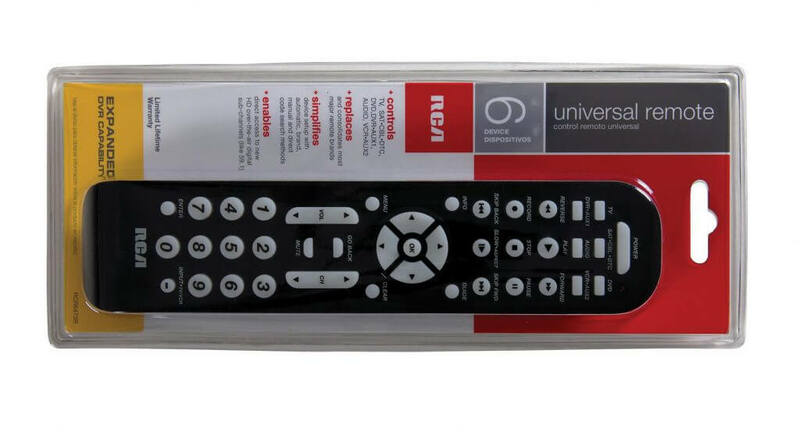 The RCA 6-Device Universal Remote is a reasonably priced, universal remote with the ability control six different devices. It is not designed to control some of the newer technology (i.e. ceiling fans, soundbars, etc…), but it will do the job of combining multiple remotes into ONE remote. It is not very heavy, and it isn’t built ergonomically. But, if you want a solid universal remote that can control up to six devices, without having to break the bank, this will work. And rounding out our list of the best universal remotes, we’ve included the GE 8-Device Universal Remote. But, our reasoning for adding it is pretty straight forward – it’s inexpensive! The GE 8-Device Universal Remote can connect to 8 devices. Setting up the remote is easy enough, being that all you have to do is press the SETUP button and then select the device you want to program (i.e. TV, DVD Player, Blu-Ray Player, VCR, DVR), and then type in the proper device code (there are generally a few codes; GE recommends writing down the code for each device). In the event you can’t find the “right” code, you can use the auto search feature until you find the code that works. Transmission range is about 10 feet. 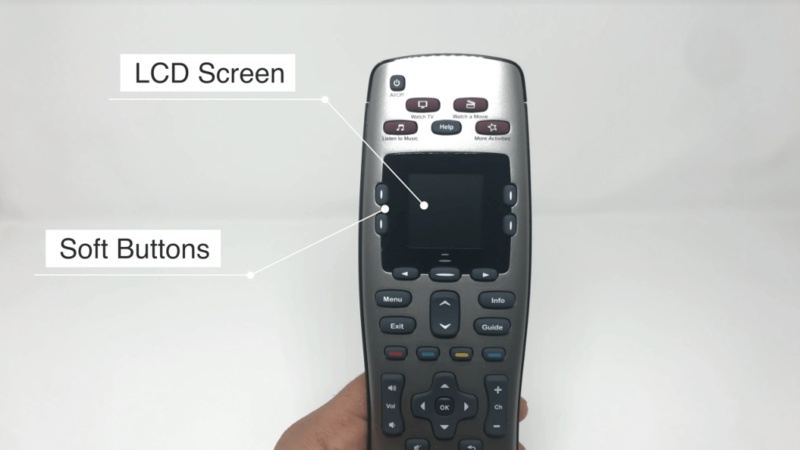 Using the GE 8-Device Universal Remote is simple. The buttons are spaced out pretty well so you don’t accidentally hit two buttons at once. But, the buttons aren’t backlit so night navigation may not be too enjoyable. The keys might feel cheap and light, just like the remote. This would be the remote you would find at a hotel/motel (again, price is the selling point here). Ultimately, we added this to the list because it is an 8-device capable universal remote, with the necessary functionality required of universals, plus it is extremely cheap. If you need a replacement option for the kids and/or guests, this is a great pick. 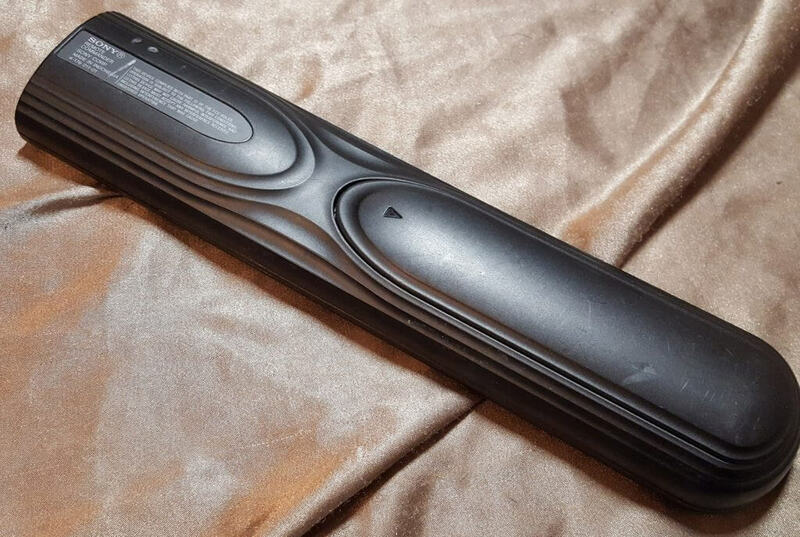 Like we said earlier, this is probably one of the remotes you would find at the hotel/motel. It can be hard trying to figure out which universal remote will work best for you. That’s why we’ve put together a buyer’s guide to help you out. 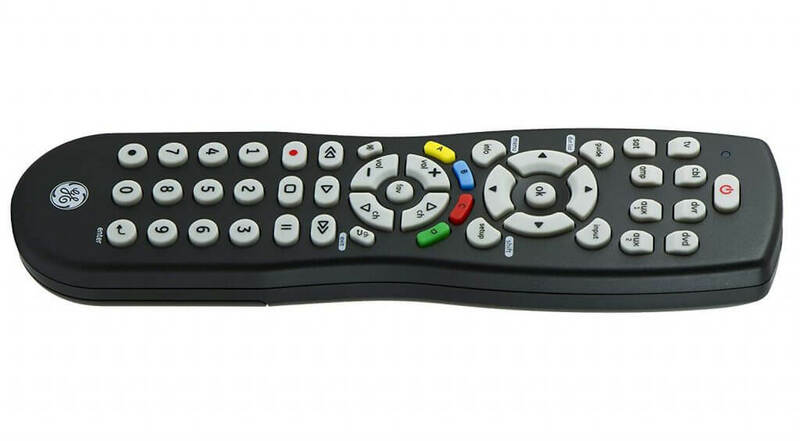 In essence, there’s only four main things to worry about when searching for the best universal remote control. First, you need to make sure you know how many devices you want to control. Go through the house and find every device that has a remote, write it down, until you’ve gotten everything inventoried. Now you know how many devices you’ll need to control so you can find a remote that handles that many devices too. If you are going to get one that uses codes to for set up, check online if those codes are on their website and double check if your devices are included. Not all remotes are the same. Some work using RF (Radio Frequencies), some use IR (Infrared Light), some use Bluetooth, and/or WiFi. In most cases, all of your devices will work using RF, but you need to make sure of this. You would not want to get a remote that doesn’t support IR communications only to find out that your DirecTV system won’t respond to your new universal remote. If you aren’t tech-savvy, don’t go buy the fanciest, most complicated universal remote you can find. Instead, find one that you can look at, understand, program, and use without getting mad and screaming obscenities. And, if you are buying a universal remote for someone else, consider how tech-savvy they are too. Maybe don’t get grandma that high-end, super complicated universal remote that requires three passwords, a fingerprint sign-in, along with facial recognition, and voice commands (if that even exists). She might end up turning off her pacemaker … not really … but it probably won’t make her life that much easier. What Special Features Do You Need? There’s a whole lot more to a universal remote than just being able to turn your TV on/off. In fact, just about anything in your home can be controlled (if it currently uses a remote). Make sure that you know the features you want before you start looking for the right universal remote control. While searching, you may find another feature that you didn’t consider that you like and end up adding that to your list as well. Q: What Is A “Universal Remote”? A: A universal remote is a remote that is designed to work with any device that works using RF, IR, and or WiFi (depends on the universal remote). The primary reason to use a universal remote is to replace all of the other remote controls for all the different devices in your home. Plus, having just one remote, you can switch between devices quickly, without having to get up to get another remote for the DVD Player or Sound System. Q: Will A Universal Remote Work On Smart TV’s? A: Yes, in most cases, a universal remote will work on smart tv’s. 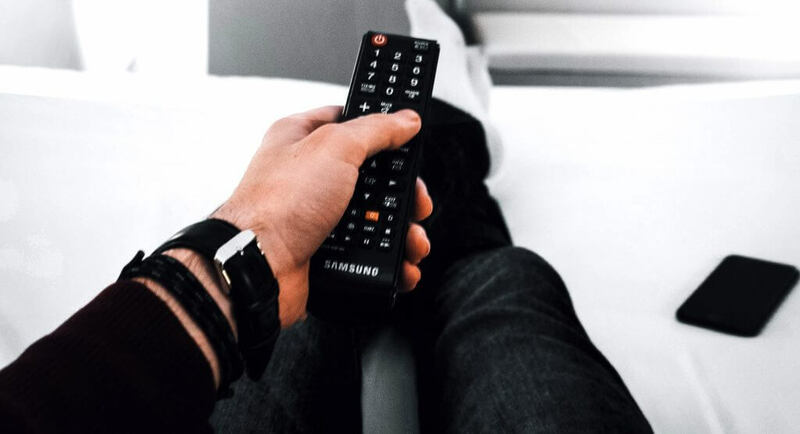 If you are unsure, you can always consult the remote control manufacturer first to make sure your smart tv is listed on their programming guide/code list. It’s very rare that a newer style universal remote will not work on a smart tv. Some of the budget remotes may not, so you may want to look into some of the more expensive remotes if you have a smart tv. Q: Will A Universal Remote Work On DVD Players, Blu-Ray Players, Stereo Equipment, Etc…? A: Yes, in most cases, a universal remote will work on DVD players, Blu-Ray players, stereo equipment, and other devices equipped with RF, IR, and/or WiFi remote controls. If you are unsure if your device is compatible, consult the manufacturer first to make sure your device is listed on their programming guide/code list. Again, some of the cheaper/budget remotes may not work with these newer devices, so you may want to look into some of the more expensive remotes if you have one of these devices. Q: How Many Devices Will A Universal Remote Work With? A: This depends on which universal remote you have. Some can only control 2 devices, whereas some can control up to 15 devices. In most cases, a universal remote should be able to control your TV, Cable Box, DVD Player/Blu-Ray Player, and Stereo/AV System. Q: How Do I Get A Universal Remote To Work With My Device? A: In order to get an universal remote to work with your device, you need to program it. Programming a universal remote is not difficult. In most cases, you have to pres a button, followed by the device code you’ll find in the manual. After the device has been programmed, you will be able to control the device the same way you would using the manufacturers remote. In some cases, you might have to search for the code using a rolling method. Again, it is generally a short key sequence, but instead of entering a code, you will move forward one code until you find the code that works. Then you lock the code in using another short key sequence and you are all set. And, some remotes have to be programmed using an app or a computer connection; some even require being signed up with the online portal (i.e. Logitech). The difficulty of programming a remote seems to be tied directly into how much the universal remote costs, the more it costs, the more likely you are going to need an App or internet connection. Q: What If I Can’t Find The Code To Connect My Device With The Universal Remote? A: In most cases, you should be able to find a list of programming codes for your device from the manufacturer of the universal remote. Those will be either in the manual or you’ll have to visit their website, go to their support page and look for a programming guide/code list. In the rare event that your code isn’t in their programming guide/code list, most universal remotes allow for a rolling scan which allows you to try every code available until you find one that works (this can be time consuming). Once you’ve found the code, write it down somewhere in the event that you might need to reprogram your universal remote (i.e. the batteries need to be replaced). Q: Why Would People Use A Universal Remote When They Already Have A Remote From The Manufacturer? A: Well, when you have a TV, a DVD Player, a Blu-Ray Player, a killer Stereo System, a Streaming Device, a … you get the point, you’ll have a lot of manufacturer remotes. In the scenario above, you would have a minimum of 5 different remotes. A universal remote would be able to combine all of the manufacturer remotes into one remote. Instead of having to keep up with 5+ remotes, you would only have to keep up with one (and we know how hard it is to keep up with remotes). Q: What Is The Best Universal Remote? A: Obviously, the “BEST” is relative to each person, which is why we listed 8 universal remotes. While we favor the Logitech Harmony 650 and the Logitech Harmony Elite, the best universal remote will be the remote that meets all of your needs. It should be able to control all of the devices in your home and still fit in your budget. Hopefully, you’ve decided that a universal remote is better than trying to juggle all of those other remotes (and keep up with them too). Using a universal remote will make life so much easier for you and your family. You’ll be able to manage all of your devices with just ONE device. We hope that this list will help you narrow down your search for the best universal remote control. We favor the Logitech Harmony 650 and the Logitech Harmony Elite universal remotes, but you might favor another universal remote instead. Either way, you won’t regret the decision to switch over to a true universal remote control. Here’s to a better life … so take control!